Heart Print Viscose Shirt is rated 3.8 out of 5 by 8. 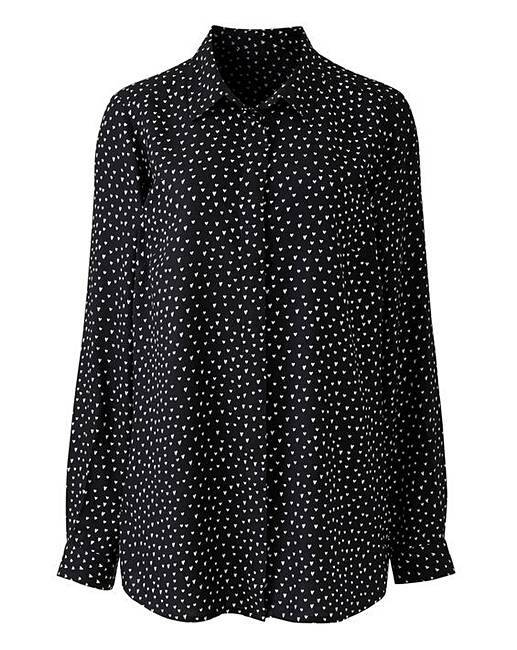 Update your wardrobe this season in this viscose printed shirt, which is fashioned from a super-soft viscose fabric. 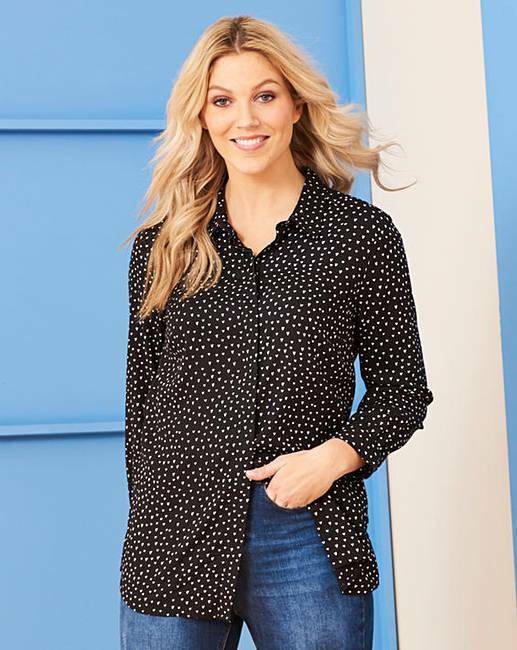 The shirt also features a concealed button to the bust area. The shirt is available in various prints. Simply pair with jeans and flats, for the perfect daytime look. Rated 5 out of 5 by Foxylady10 from Great fit Simple yet stylish shirt absolutely thrilled with it. 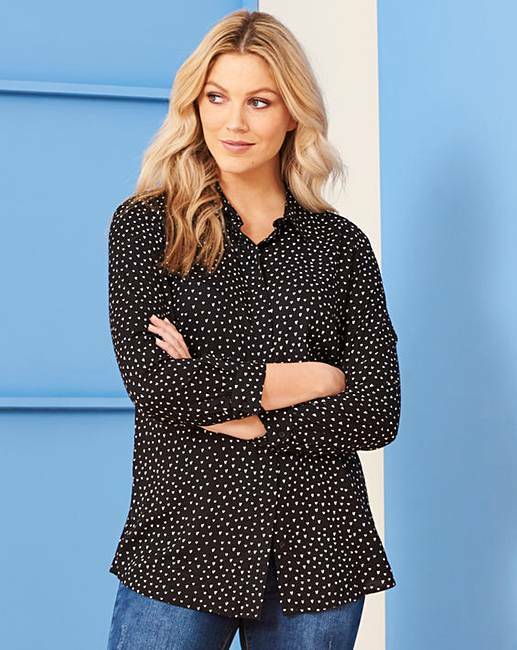 Rated 3 out of 5 by KAZZLES from Short but Sweet Nice shirt, nice fabric - short as just skimmed my hips and i am just under 5' 3" - small fit round the middle if you are an apple shape so would gape at the buttons I went up a size when ordering and still did not feel comfy in it. Rated 3 out of 5 by Jen292 from Too small I bought my size but it was too small and quite short in length. I would maybe size up? Rated 5 out of 5 by Sueg from Generously proportioned. Lovely fabric I have a broad back and don’t tend to wear buttoned shirts. This shirt is stretchy and generously proportioned and hangs like a dream. Rated 4 out of 5 by holidaygirl from nice material Nice soft and lightweight. It was not creased when I took it out of packaging. Subtle pattern. I would have liked it to be a bit longer but that was not a good enough reason to return it as it fitted well.